A report published earlier this month revealed that Wileyfox is discontinuing the sale of its Windows Phone but today the company reached out to us to confirm that their Windows 10 Mobile handset is once again available. The report quoting a Wileyfox representative had revealed that device has sold out and another production run isn’t planned. 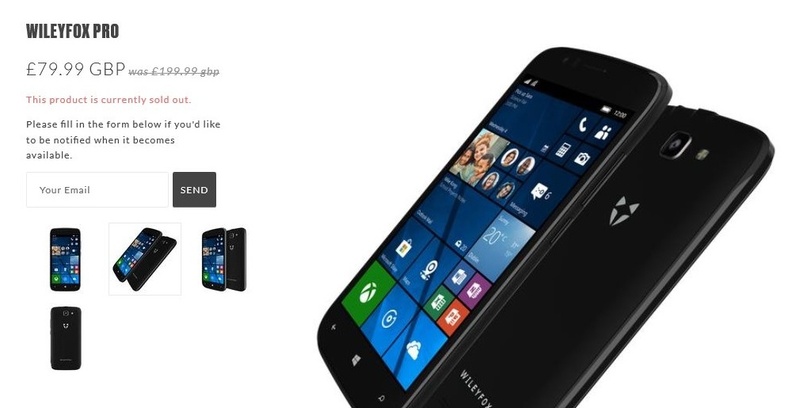 It appears that the company has changed its mind and the Windows Phone is once again available. “I just wanted to reach out to let you know the Wileyfox Pro is actually now back in stock and being manufactured again due to popular demand,” Wileyfox’s lead PR manager Thomas Reed told us in a statement. 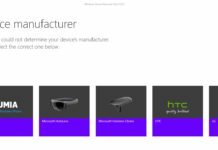 At the time of writing this story, Wileyfox’s Windows Phone is available for purchase at the company’s website for just £79.99 GBP. The device is unlikely to run out of stock as the company has already started manufacturing the device due to popular demand. 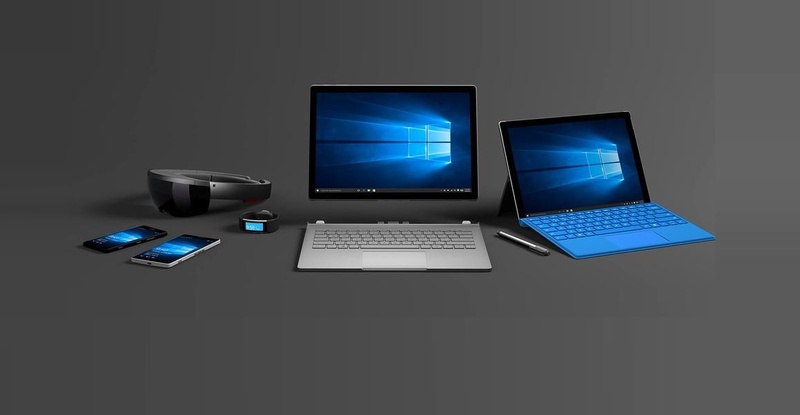 Windows 10 and all Microsoft services that are ready to go. Quad-core Snapdragon 210 processor which is good enough basic use. It has a 5-inch display that features 2-megapixel. There’s an 8-megapixel camera on the back. What’s important to know is that the company is committed to its Windows Phone and the handset will receive the monthly cumulative updates from Microsoft until late 2019. For £79.99 GBP, the Wileyfox Pro is not a bad deal. 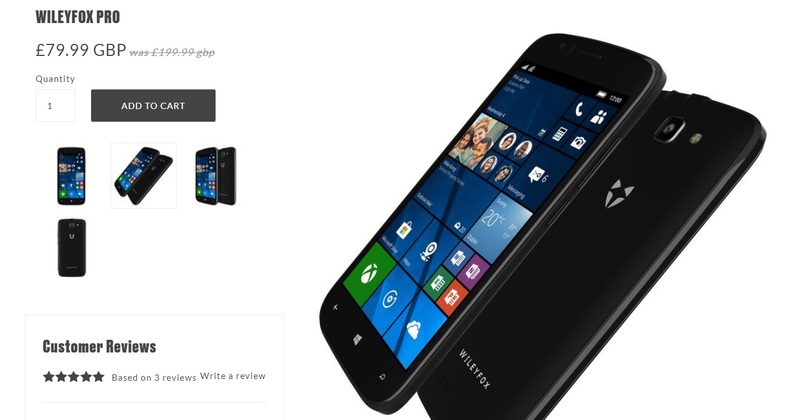 If you’re interested, you can buy Wileyfox’s Windows Phone from here. Microsoft has already stopped developing new features for its mobile platform but the company is said to be working on a device that’s codenamed Andromeda and it’s arriving next year according to leaks from multiple publications. Windows Phone is past but it’s a fact that the OS was more attractive, it ran much better on low-end hardware and it did some things much better than its competitors. Windows Phone had shiny Live Tiles and a better UX. The OS had its own flaws but it was well built and Metro UI (those shiny tiles) was one of the reasons to get a Windows Phone in good old days. What popular demand is there for a Windows Phone these days? there still quite a few. You might as well use a BB10 phone then. Well that’s not a bad option for some users either. It’s a better option than Windows Phone/Mobile, and it’s not even that good of one. about their personal preference at any particular time. Sure. Now remind me what smartwatches and devices you can use with your Windows Phone. At that price they are a pretty good buy. What? – Microsoft is not supporting Windows Phone anymore everyday someone else ends support for the few apps that are still available – people need to wake up and stop dreaming there is no more Window Phone and Microsoft is not going to release a phone in the future either buy a Pixel or a Samsung you won’t even remember WP after a week. W10M is still supported by Microsoft. The support for W10M FCU ends on 10th December 2019. That date could be extended and also a new version of W10M could be released. ok yes security patches – there is zero development in windows phone and in fact it is not even listed in Microsoft financials anymore because it is irrelevant to the bottom line. Microsoft does not care about windows mobile – they will make a new device like a tablet that can be used as a phone but they are never going to make another dedicated phone so all rumors about Surface phone is just rumors – no one is developing apps for windows phone and they never will – Android controls 87% if the world wide mobile market and Apple owns the rest. Time for Windows mobile people to move on. 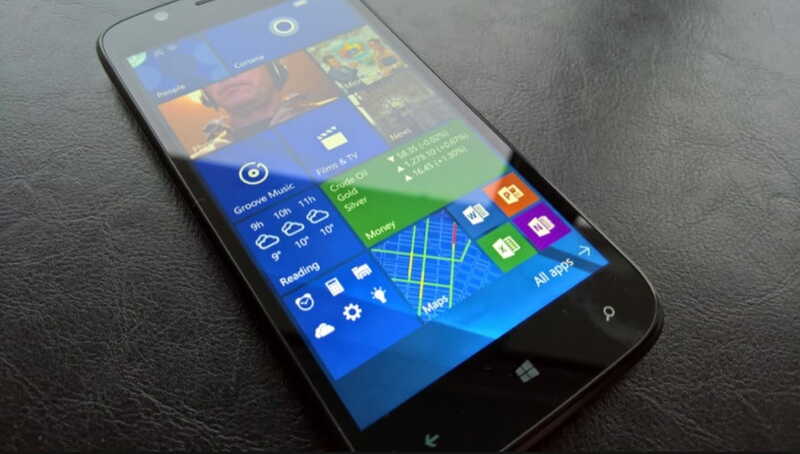 Microsoft has officially declared windows phone as dead – they created and own and license the operating system. Microsoft doesn’t sell windows phones in their stores but sell Android phones and there is zero development in windows phone at Redmond and Microsoft has fired everyone that worked in that division or have been assigned to other projects or divisions within Microsoft. Security patches for WP will end in 2019. 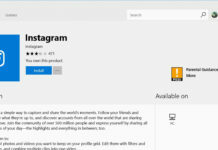 Windows 10 mobile is dead – the operating system is no longer being developed, Microsoft is not making any more mobile phones and no major carrier in the United States carries them because they are no longer being produced or supported – no 3rd party developers are making apps and in fact are pulling their apps from the store. Microsoft wrote off the 8.5 billion dollar purchase of Nokia as a total loss. Will Microsoft make a device that can me used as a phone but will not be a dedicated possibly yes. W10 mobile will no longer receive security updates in 2019. These are facts not fiction. Answer me this can you walk into a Microsoft store and buy a windows phone = No can you walk into AT&T, Verizon, Sprint or T-Mobile and buy a windows phone = No. Google and Apple own that market it is done I am not the one facing reality here. Yes it will be based on the windows 10 OS – NOT windows phone 10 – which is a completely different operating system you do know that right? There is no further development on that OS that is only used on windows phones which are no longer produced and Microsoft has stated many times that they have no desire to make another dedicated mobile phone. Microsoft might release a mobile type device like a larger tablet that may or may not be used as a phone. Lets look at this logically the new Microsoft (the one that makes a lot more money compared to the Balmer era) decided to stop loosing 10’s of billions of dollars over the life of windows phone there was no way then or today that Microsoft is going to beat Android or Apple in that market anymore than Google is going to beat Microsoft on the desktop it simply is not going to happen Google and Apple own that mobile market. There is zero incentive for any 3rd party developer to take another chance on Microsoft is mobile – Google owns 87% of the world wide maketshare of mobile and Apple owns the rest. Will they export it to India? Thanks for the image credit, but please hyperlink it! Hi, Steve. Sure thing. There are some limitations in WordPress or in our theme. There’s no option to hyper link the citation in featured image, unfortunately. I will double-check, otherwise I swap the image with something else.